FREE SHIPPING – Your sleepiness is our happiness. This chocolate supplement with 1mg of melatonin per piece is your own personal lullaby. Nighty-night! Non-GMO Ingredients. Fair-Trade Milk Chocolate. Coloring from Fruits & Veggies. Doctor-Founded. A Milk Chocolate Nightime Supplement. Really! 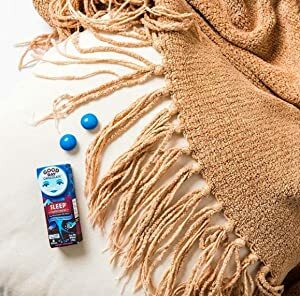 Sleep Supplement Milk Chocolate Melatonin Bites- Feeling zonked but can’t zonk out? Our SLEEP Supplement is here to help you. It’s a delicious, easy way to recharge, refuel, and renew. Remember, please don’t drive after taking your dose. Responsible serving sizes of benefits!